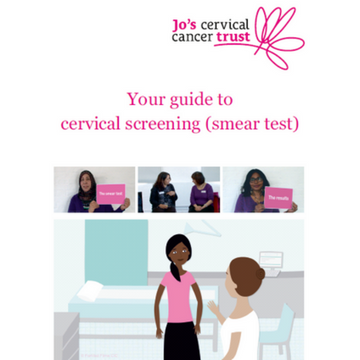 Our short, six minute film aims to help you raise awareness of smear tests, what the test is for and what will happen during the test, it also has information on the Human Papillomavirus (HPV) which is the main cause of cervical cancer and cervical abnormalities. Available in eight languages: English (with and without subtitles), Arabic, Bengali (Standard and Sylheti), Chinese (Mandarin), Hindi, Polish, Tamil and Urdu. You will see a suggested donation in your shopping cart. We ask for this donation to help us cover the cost of producing the item(s) you have ordered. We rely on your donation to help us keep costs down. Your generosity means that most of the money we raise can go towards our support and information services and our life-saving awareness campaigns.